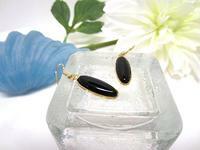 Black onyx is such a dramatic stone! The stones in these dangle earrings measure 22x8mm, and are set in gold plate findings. The finished earrings dangle about 1-1/2" from the tops of their gold plate hooks. The black and gold together are a rich, luxurious combination. 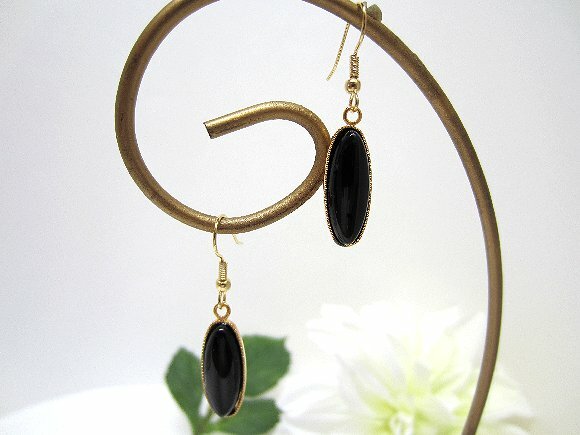 These lightweight and unusual black onyx dangle earrings are as delightful to look at as they are to wear. They?re another pair of beautiful earrings from SPARKLE PLENTY. All our one of a kind and limited edition artisan beaded jewelry is individually handcrafted in our studio in Los Angeles, California. 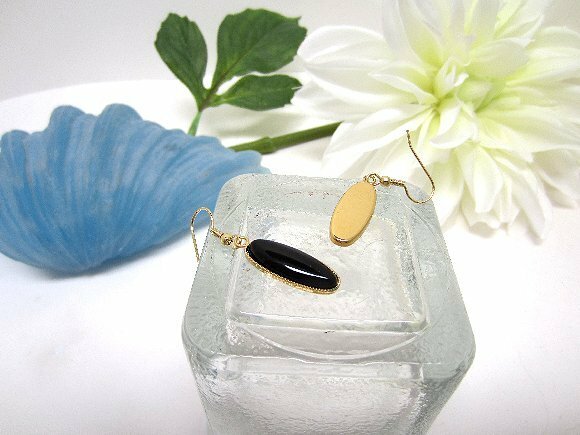 Shop online for indie boutique designs including bracelets, necklaces, earrings and other gorgeous fashion accessories. All designs, text and photos copyright Sparkle Plenty Fine Beaded Jewellery 2002-2015 and may not be reproduced in whole or in part without prior, express written permission. All rights reserved.